Atlantis is a 3 deck custom built in 2005 Motor Yacht. The first deck is the formal dining salon together with dance floor & stage. Access to the next level is via The Grand Staircase. 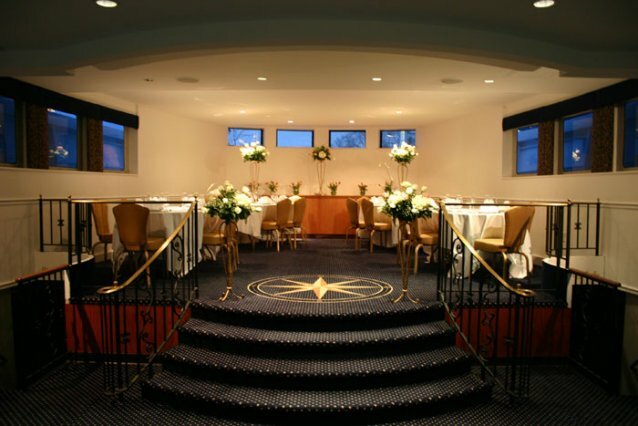 This level is used mainly for cocktail hour and has a large bar area, and a luxurious bridal suite. The Bridge, the Captain’s Quarters as well as a private office are also located on this level. 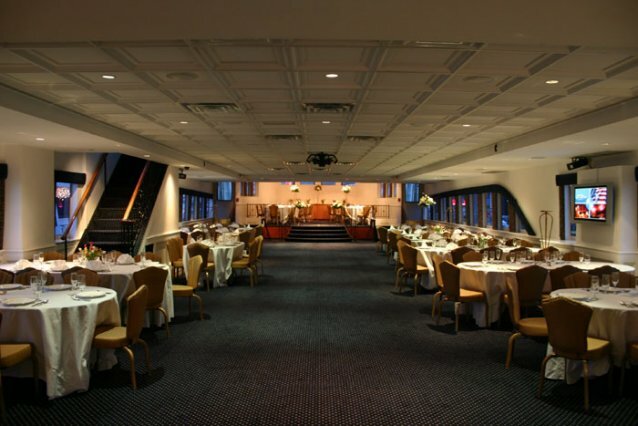 The third level is an impressive open sundeck with lighted fountain, large bar, and plenty of room for ceremonies. 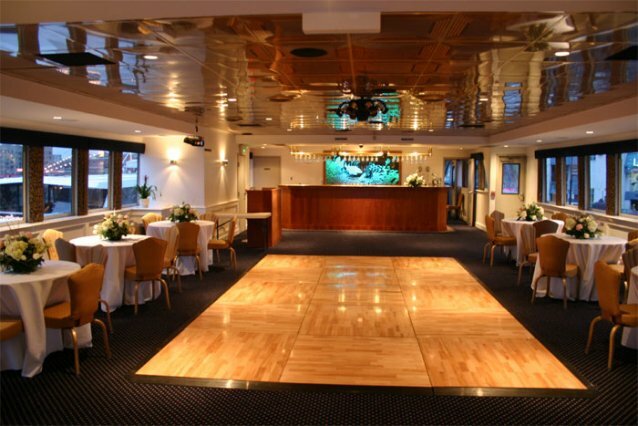 The main dining salon is approximately 2800 square feet, including the dance floor which is 12’x20’.